AA Saint Paul | Is AA for you? 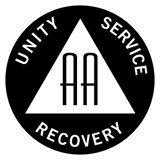 Only you can decide whether you want to give AA a try – whether you think it can help you. We who are in AA came because we finally gave up trying to control our drinking. We still hated to admit that we could never drink safely. Then we heard from other AA members that we were sick. (We thought so for years!) We found that many people suffered from the same feelings of guilt and loneliness and hopelessness that we did. We found out that we had these feelings because we had the disease of alcoholism. We decided to try and face up to what alcohol had done to us. Here are some of the questions we tried to answer honestly. If we answered yes to four or more questions, we were in deep trouble with our drinking. See how you do. Remember that there is no disgrace in facing up to the fact that you have a problem. In AA we do not tell anyone to do anything. We just talk about our own drinking, the trouble we got into, and how we stopped. We will be glad to help you, if you want us to. Have you had to have an eye-opener upon awakening during the past year? Do you need a drink to get started, or to stop shaking? This is a pretty sure sign that you are not drinking "socially". Before we came into AA, most of us said that it was the people or problems at home that made us drink. We could not see that our drinking just made everything worse. It never solved problems anywhere or anytime. Many of us kidded ourselves into thinking that we drank because we wanted to. After we came into AA, we found out that once we started to drink, we couldn't stop. Many of us admit now that we "called in sick" lots of times when the truth was that we were hung over or on a drunk. A "blackout" is when we have been drinking hours or days that we cannot remember. When we came to AA, we found out that this is a pretty sure sign of alcoholic drinking. Many of us started to drink because drinking made life seem better, at least for a while. By the time we got into AA, we felt trapped. We were drinking to live and living to drink. We were sick and tired of being sick and tired. Did you answer yes four or more times? If so, you are probably in trouble with alcohol. Why do we say this? Because thousands of people in AA have said so for many years. They found out the truth about themselves that life can become much more manageable. Reprinted with permission from AA World Services, Inc.